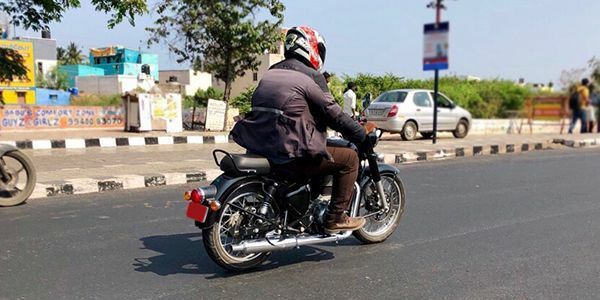 The 2020 Royal Enfield Classic 350 has been spotted testing in India for the first time. The new motorcycle features an all-new motor which will be BSVI emission norm compliant. The new Royal Enfield engine is also expected to be more powerful and refined than the current motor. Also, the chain drive is positioned on the left-hand side and misses out on a kick starter. Basic styling of the new motorcycle is similar to the existing Classic range, but it gets an LED tail light and redesigned split-seats. The upcoming Royal Enfield bike is also likely to be equipped with an LED headlight. The 2020 Classic 350/500 will also feature a redesigned chassis, conventional twin shock absorbers and disc brakes on both ends with dual-channel ABS. Since the bike has been spotted testing for the first time, we expect the new Royal Enfield Classic range to be launched in 2020. Share your experiences with 2020 Classic 350? Q. Which feature is being added to meter console in new Classic?